If I’m scalping to a red news event, I’ll trade in the direction of the Daily trend, using the scalping 3 chart set up. Using a trade manager is imperative, but the take profit and stop settings need to be wide, like if you were swing trading, because a news event has the potential to move a pair anywhere from 40 pips to hundreds of pips. I check the FF Calendar every Sunday and plan my news trading for the coming week. I plan my week around these trading events. I love news trading because I can be in and out relatively quickly with the greatest amount of pips. You can get in the news trade either 5 min before the event or 5 min after the event, your choice. However, if you look at a one hour chart, you can see clearly going back several hours, even up to 24 hours, what the market sentiment is… and if you position yourself early in the game, you’ll be in early to gain the most pips. You can aim for a fixed target of 100 pips and set your stop at 100 pips. Normally I like a better than 1:1 risk to reward ratio but for news trading, your stop must be wider to accommodate any whipsaw on the initial spike in the first 5 minutes of the news announcement. Use a trade manager with wide stop and take profit settings, according to the support and resistance levels in a Daily chart and trail with about 15 pips. NOTE: The FF Calendar is mainly for economic news events and doesn’t usually feature political news events. You need to monitor those too because they have the potential to swing the market with even more volatility. I normally avoid being in any trade ahead of time if I can help it if I’m aware of a political news event. I personally like bbc.com/news/world. Some brokers will send out emails warning about upcoming high volatility news events… you need to pay attention and protect your account by exiting trades before the news event, no matter what kind of forex trader you are. All of my advanced color coded trading systems include a trade manager expert adviser… I highly recommend that you use a trade manager to trade the red economic news events, it will react much faster than you can and manage your trade better than you can, especially if the price spikes and then reverts quickly… most traders just freeze and never grab the profits… your trade manager has no such problems! To give you another edge in your news trading, you can also set certain fixed take profit levels, according to the major and minor key levels for each currency pair. Of course this still mandates using a trade manager expert adviser, you can’t and shouldn’t attempt to trade the news without one. My Color Ribbon Surfing System includes an indicator that automatically draws the major and minor key levels right on your chart… the minor key levels are spaced 25 pips apart and the major key levels are spaced 100 pips apart. Setting your take profit at 100 pips for major red economic news events like NFP can give you a possible gain of 100 pips… if the price action falls short, at least your trade manager will grab you what it can. Inspired by Cynthia’s love of the ocean and surfing! * Risk Disclaimer: Trading is risky and is not suitable for everyone. Only risk capital should be used. You are responsible for your results and agree to hold everyone else harmless if you lose. Cynthia started trading stock options in the late 90's and discovered the forex market in 2002. She created her first forex trading system in 2003 and has been a professional forex trader and system developer since then. Currently, she has four MT4 color-coded trading systems. 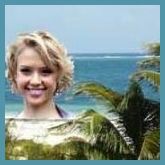 An avid ocean lover, she enjoys all ocean-related activities, including body surfing, snorkeling, scuba diving, boating and fishing. The Color Ribbon Surfing System was created out of her love for the waves of the ocean.